(Okinawa, Japan) Last Sunday on Sep 10th, Two Lotus-ers (Lotus QA Staff) took a flight to Okinawa, Japan, starting the collaboration program between Lotus Quality Assurance with Japan based testing company, part of F.R.O.M Okinawa sponsored program to promote IT Development in Okinawa prefecture. Joining this time from Lotus QA are QUYNH Hoang and GIANG Nguyen. They have been chosen to represent Lotus QA joining the program due to their previous experiences in various projects with Japan based clients. QUYNH Hoang has built her strong Japanese language foundation after years of living and working in Japan through various jobs. That even surprised the F.R.O.M Okinawa officers when they welcomed at the airport. “Her Japanese is great so I don’t need to speak English”, said the F.R.O.M Okinawa officer. 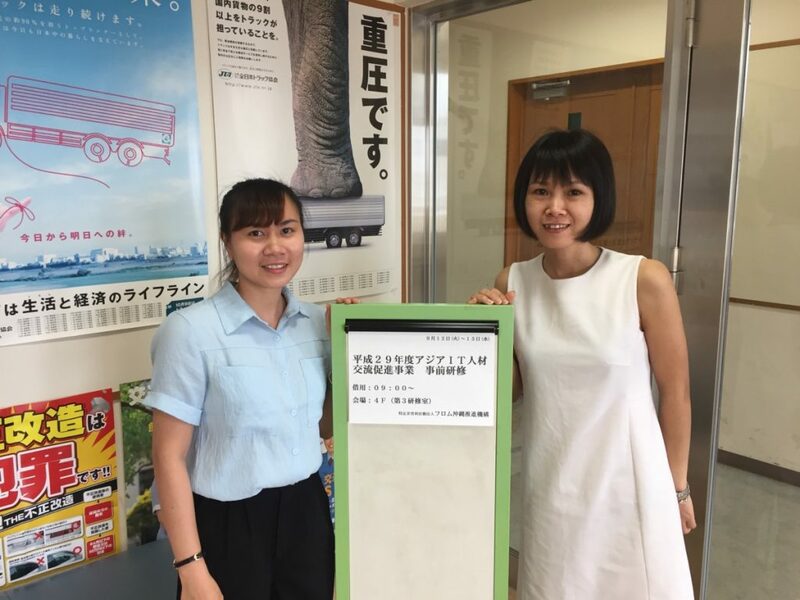 For GIANG Nguyen, a new comer in Lotus QA family, although she has years working with Japan based clients in her career, it was the first time she has flown abroad, and fortunately it was Japan. At the end, she has got a chance to practice her Japanese with Japanese face-to-face. The training program started the next day. It will be covering testing & QA processes applying in Japan; experiences of Japan companies in keeping “Made in Japan” quality standards. These would be very helpful for a fairly young Vietnam based QA service company like Lotus QA. Joining the Okinawa program is the first step that Lotus QA wanted to do, in its progress to build a strong foundation and be ready for a fruitful future of collaboration with Japan companies.